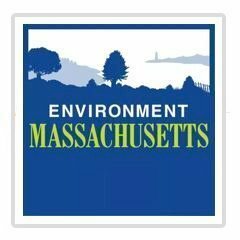 Environment Massachusetts - Boston GreenFest - Aug. 16-18, 2019 - FREE! Environment Massachusetts is a citizen-based environmental advocacy project of Environment America. We believe there’s something special about Massachusetts—something worth protecting and preserving for future generations. Whether it’s the gentle current of the Charles River, the waves crashing off Cape Cod, or the rustle of leaves as you walk through your local forest, Massachusetts’s natural wonders enrich our lives in countless ways. Yet the places we love and the environmental values we share are too often threatened by powerful industries, short-sighted politicians and more. Defending our environment requires independent research, tough-minded advocacy and spirited grassroots action. That’s the idea behind Environment Massachusetts. Together with thousands of supporters from all walks of life, we take the kind of action that wins tangible results for our environment. Funded by supporters like you, we research the challenges confronting our environment and educate the public about what’s at stake. Through our research reports, news conferences, interviews with reporters, op-ed pieces, letters to the editor, and more, we raise awareness of environmental issues and promote sensible solutions. Our canvassers meet people where they are—in public places or door-to-door—raising awareness, recruiting new supporters and activists, and raising funds to support our work. When decisions are being made about our environment, our elected officials hear plenty from oil companies, developers and other powerful interests. We make the case for our environment and help people like you make your voice heard—using methods like petitions, emails, letters and phone calls, all delivered to the right people just when it matters most.